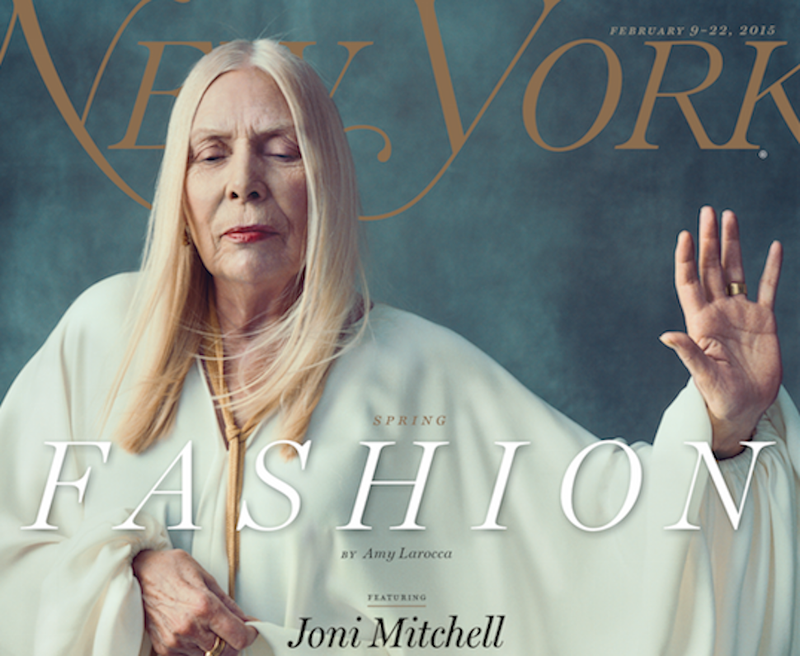 Joni Mitchell has never strayed far from the collective memory, but in recent months she's emerged from the wings with a major fashion campaign, an oral history in Vanity Fair, and this New York magazine cover story by Carl Swanson, titled "Joni Mitchell, Unyielding." She mentions the guy her record company sent not long ago — "the burglar," she calls him — to root around her storage unit to cobble together a boxed set she calls a "turd," which she eventually got killed. "All my battles were with male egos," she says. "I'm just looking for equality, not to dominate. But I want to be able to control my vision. There are those moments when I wax feminine and I get walked on." Beatty "couldn't pull me and it pulled him into psychiatry. Because he was used to his pleasure." "I've never heard Taylor's music. I've seen her. Physically, she looks similarly small hipped and high cheekbones. I can see why they cast her. I don't know what her music sounds like, but I do know this — that if she's going to sing and play me, good luck." Now 71, Mitchell has been ill for eight years, which she describes as a "survival blur." In fact, she's been sick throughout her whole life — polio, scarlet fever, dengue, abscessed ovaries — and now suffers from the skin disorder Morgellons, a "weird, incurable disease that seems like it's from outer space," which many doctors find mysterious, and which Mitchell has described this way: "Fibers in a variety of colors protrude out of my skin like mushrooms after a rainstorm. They cannot be forensically identified as animal, vegetable, or mineral." "He did shoot me in very harsh light," she confides. "But we haven't had any complaints about it. Maybe it was even good for the culture. Who knows? A 71-year-old ­fashion model with overt wrinkles because of the bad light." She mentions that she feels she has a shared identification with black men. "When I see black men sitting, I have a tendency to go — like I nod like I'm a brother. I really feel an affinity because I have experienced being a black guy on several occasions." Welp. New York didn't really know what to do with that, and neither do I. But check out the full article here—it's a great interview with an icon who, as it turns out, is truly deserving of our unwavering fascination. 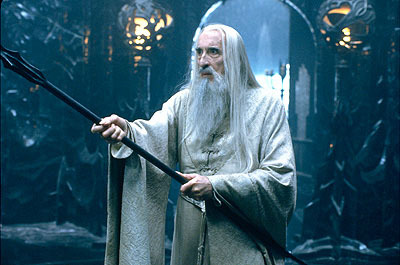 And the cover shot is incredible, even if she does kind of resemble Saruman The White.